I’ve tried to convince you that Tromso is absolutely amazing (see my posts on spotting the Northern Lights while cuddling a load of husky dogs, as well as how to do Tromso on a budget), but say a) you already knew that, or b) my powers of persuasion somehow worked, you’re going to need to know just how and what to pack for your trip. “I’m just heading to the Arctic” has definitely got an exotic twist to it. It’s exciting and unusual, and filled with more than just a little sprinkle of adventurous vibes. 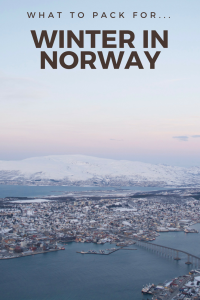 There’s only one problem: winter in Norway is frickin’ cold. 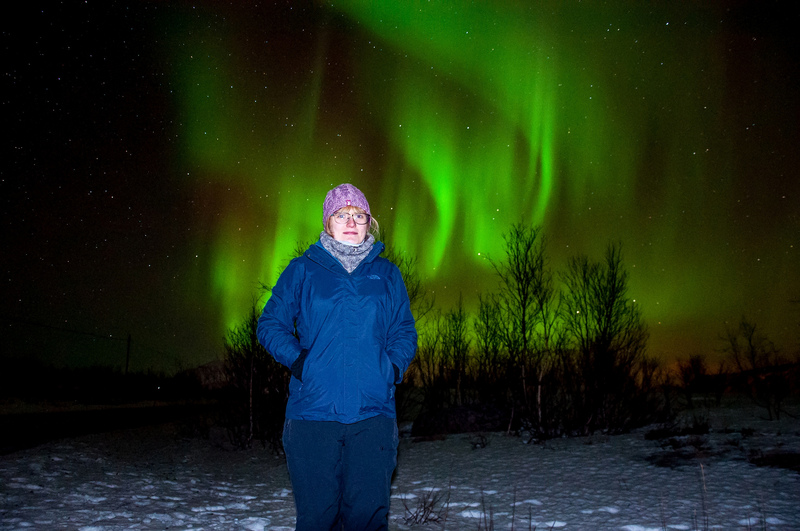 Especially when you’re venturing above the Arctic circle. It’s not ‘cold’ as in ‘a chilly day in London where you have to wear a coat and maybe some gloves’. This level of ‘cold’ is a whole different board game which requires a little bit of forethought. 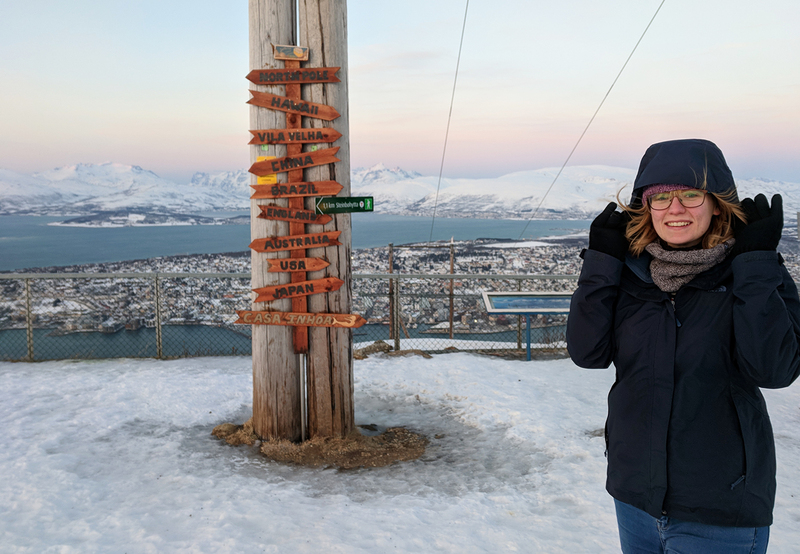 As the coldest person on this planet at any given moment in time* (*97% sure that is the case), I knew I was going to have to prepare for the worst – I packed so many layers and thermals, I thought I was going to be absolutely boiling. This is the layer that fits on top of everything that features below, and is one of the most important things to consider. It’ll be the thing that protects you against all the elements, so choose wisely! Of all the things on this list, I’d definitely recommend investing in one that’s designed to keep you snug and dry. Prior to my trip, Millets very kindly gifted me with this North Face 2-in-1 jacket – the North Face Women’s Evolution II Triclimate Jacket is its official name. 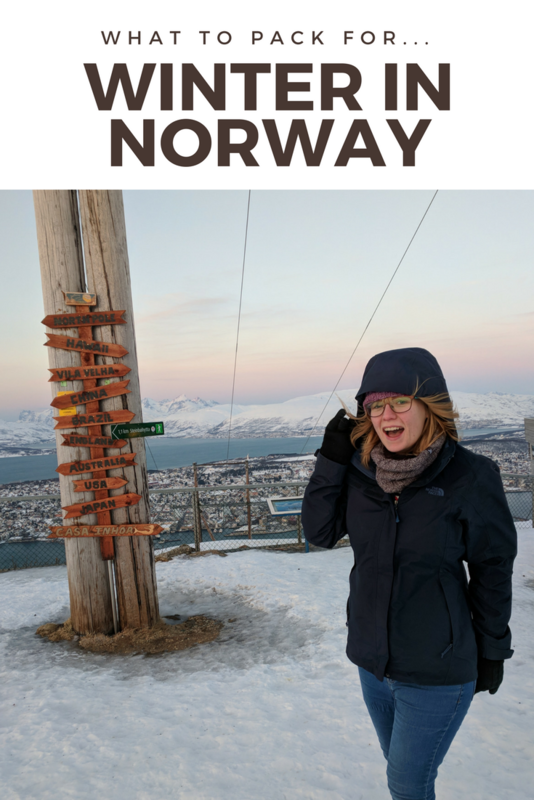 It was perfect for the conditions I faced in Tromso, with its waterproof outer shell and cosy fleece for added warmth (which can be zipped out if needed, so it’s ideal for all weather conditions). There’s also elasticated sleeves to stop the cold air riding up, a hood, and a zip which took the jacket up over my mouth when the wind got too unbearable. Also, it has POCKETS, which as any girl knows is the real highlight of any clothes purchase. While it’s a little on the pricey side, I deliberately chose this particular jacket as it’s designed for use all-year round. It’s a sound investment, and you’ll definitely get your money’s worth. Honestly, I’ve used this jacket so many times over the last few months in snowy London, it’s been priceless! Not in London, but still in Tromso. And very cold. This will be the most important layer you’ll wear because they’ll trap in the warmth and keep the warm air close to your skin. Thermal base layers can be picked up quite cheaply from a number of different places. I got my long leggings and a thermal turtle neck top from Decathlon, and I’d definitely recommend looking there for the majority of the things on this list. For just £8.99, the turtle neck top was a particularly good purchase because it can be worn either way, depending on how cold it is. I constantly wore mine on the ‘extra extra warm’ side, but it’s always nice to have the option! Don’t waste time packing acrylic layers as they’ll provide next-to-no protection against the cold. Now’s the time for your cottons to take centre stage, from wooly knits to cosy fleeces. I will admit, although I packed a jumper for the trip, it wasn’t good enough to tackle that cold! 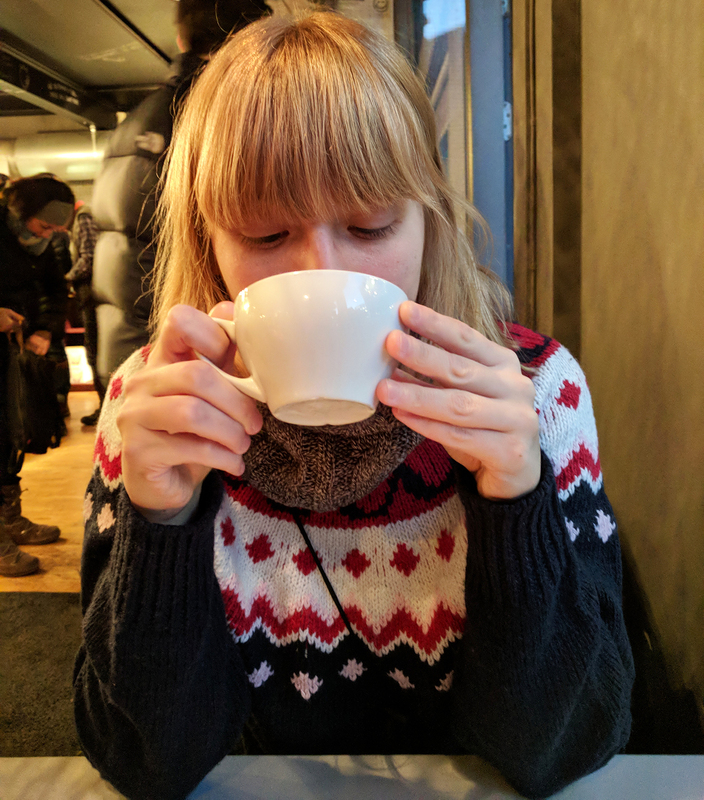 I ended up buying a cheap Norwegian-style jumper from a local clothes shop for around £10. 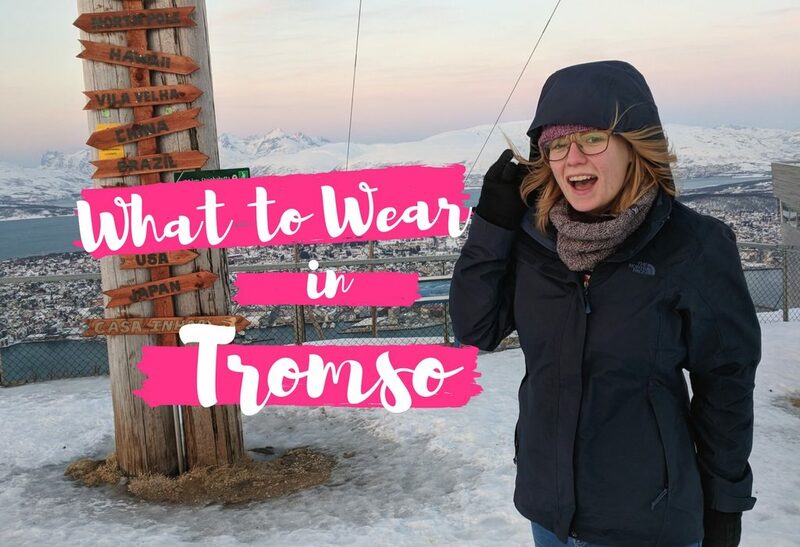 Before I arrived in Tromso, I read conflicting things about whether ski trousers were needed. 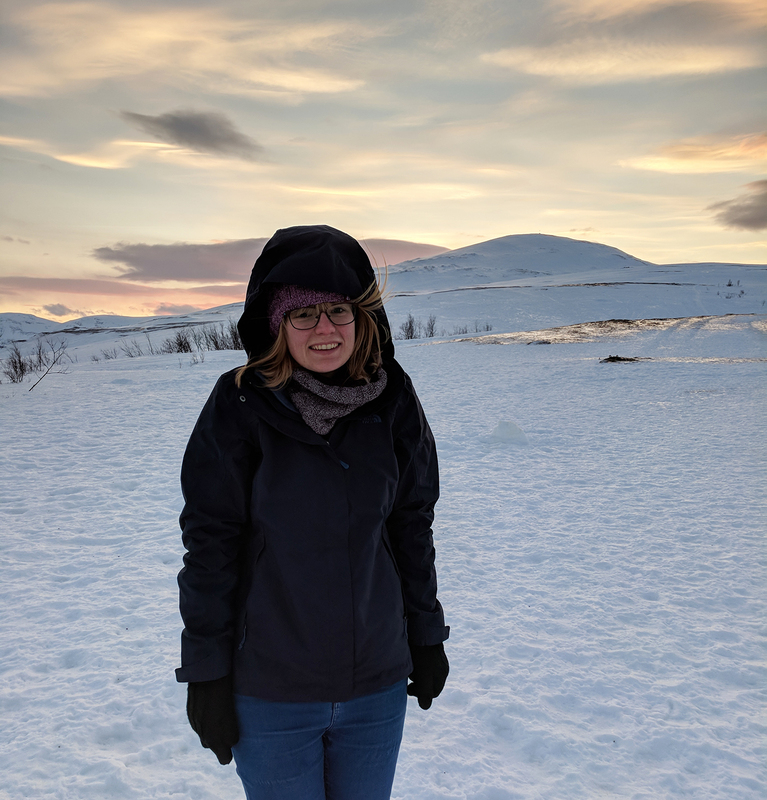 It’s true that a lot of tour companies will give you all the warm equipment you need to stay snug, but I’m still glad I bought mine along anyway. During the day I found my thermal leggings and jeans were fine, but in the evenings/early mornings I liked to add my ski trousers into the mix for extra warmth. Me in my ski trousers, jacket, and thermals! 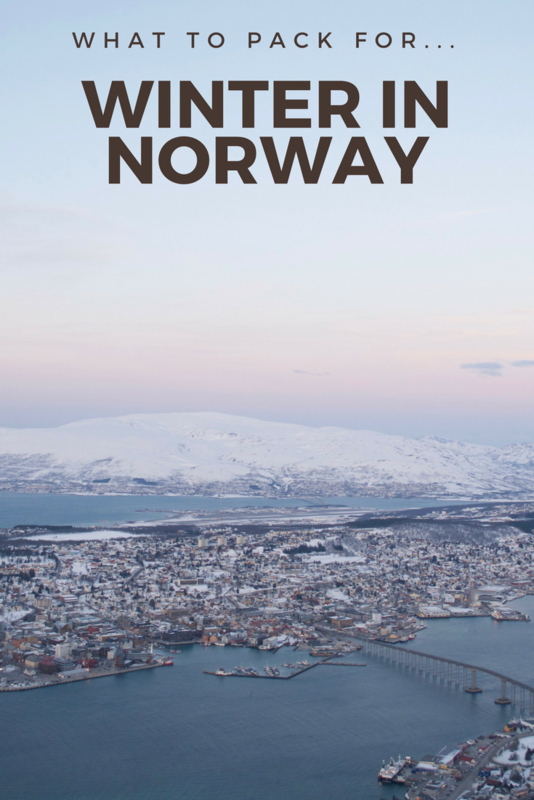 Is there anything else you’d consider essential gear for winter in Norway? Let me know in the comments below and I’ll add it to the list!